These transmitters are designed specifically for 400 series medical, laboratory, and life sciences probes. 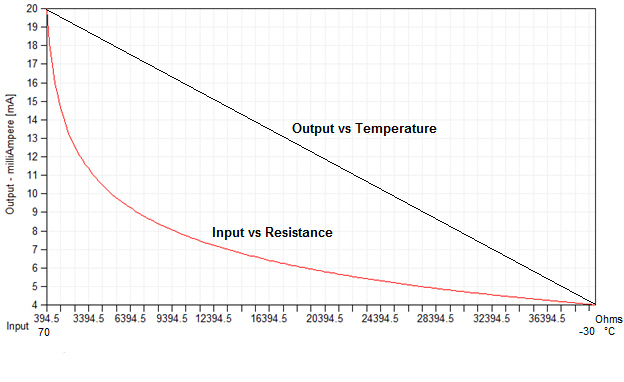 They provide a linearized output from - 30° to +70°C (-22° to 158°F). Additionally this product may be programmed for applications such as horizontal tanks, tanks with internal structural components or tilted tanks. See also ourTransmitter Selection Guide. * Price as of 04/2014. Subject to change. Designed 400 Series Probes and Thermistors.